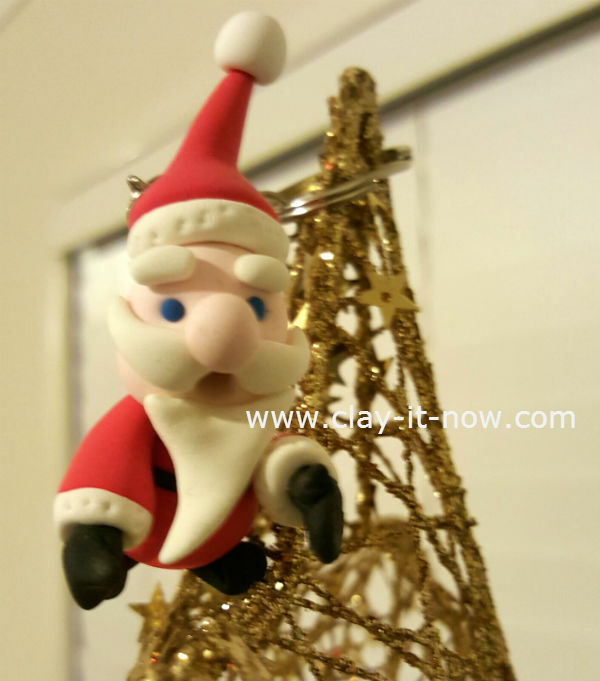 Why mini Santa Claus? 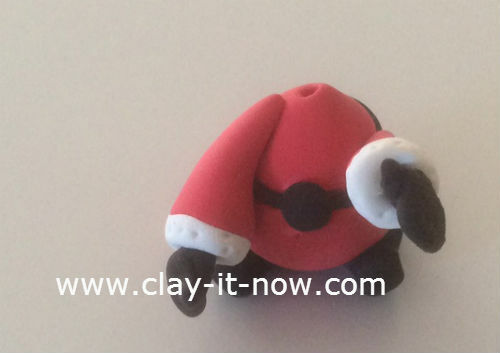 you might ask the question after seeing our previous Santa Claus figurine tutorial. Well, this is basically an easy version of figurine. 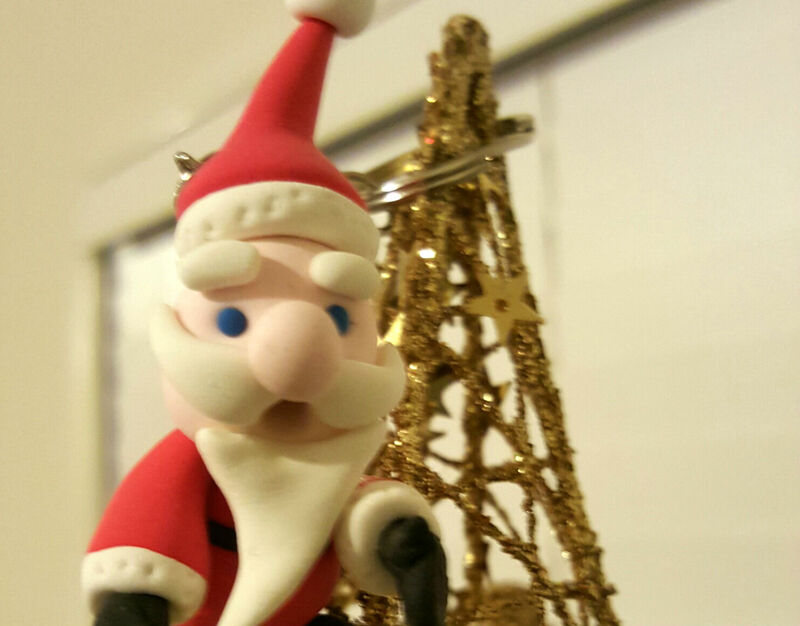 In the previous tutorial we use wire for the legs and many more steps to make Santa Claus. One of our website visitors asking us if we could make it easier so they can make this with their grandchildren. So here it is! The mini version is really easy because we only use basic shapes to make the figurine. Prepare your clay. 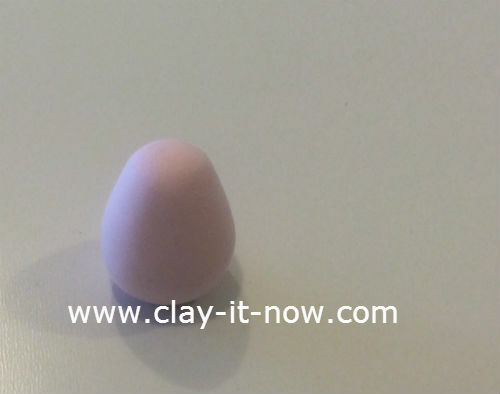 You can make your own clay by following our clay recipes. 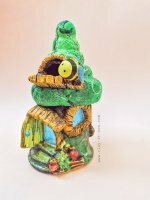 If that so, we would recommend you to use the one we called best homemade clay. 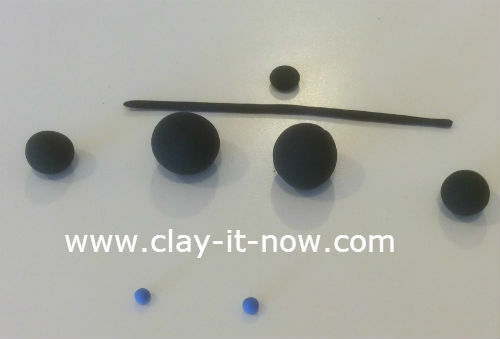 First of all, take your black clay and let's make 2 ball shapes about 1 cm diameter for the shoes, 2 smaller ball shapes for the gloves, 1 spaghetti shape clay for the belt, small ball shape for the buckle and 2 small ball shapes in blue color for the eyes. 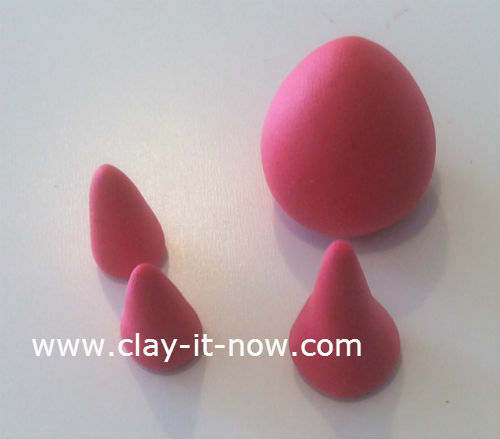 Alright, let's take out your red color clay, knead it well until it's warm and soft. Make 1 egg shape about 1 inch/ 2.5cm height for dthe body, 2 small cone shapes for arms and 1 bigger cone shape for Santa's hat. 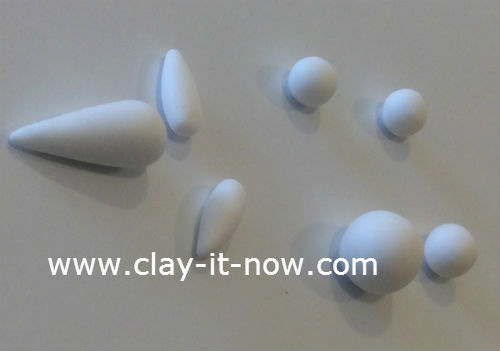 Next, let's roll your white clay to the shape below. Make 2 small teardrop for moustache, and 1 bigger teardrop shape for the beard. 3 ball shapes about the same size. You need to flatten the two of them later on and paste it to the bottom of the arms. And, stick one of the ball to the top of the hat. And, 1 bigger ball shape for the bottom of the hat (hat's trim). 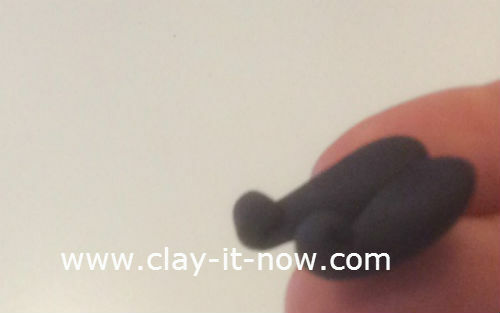 By the way, also make small and short pipe shape for the eyebrows. 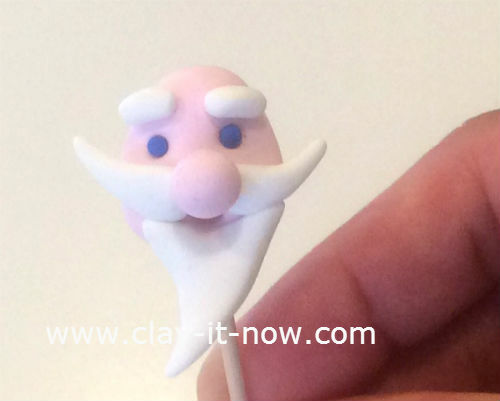 Don't forget to make the head and nose for our mini Santa Claus from light pink color clay or skin color clay if you have. The head is from an egg shape and then flatten the top part a little bit so, the head could sit on it nicely later on. 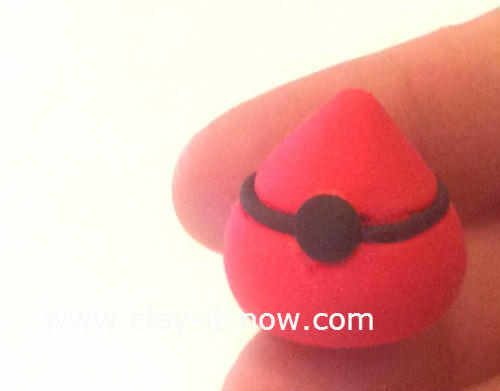 I didn't take the picture of the nose but it is a small ball shape in the same color with the head. We start by making the shoes. Let it dry so it is strong enough to support the body. Add the belt and the buckle to the body. Make the gloves, arms and paste it to the side of the body. Finally, add all the facial feature, and put in the hat when the head almost dry. You can see our video below for detail tutorial.